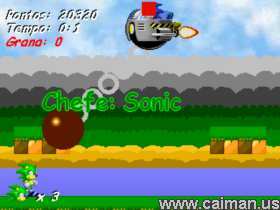 Caiman free games: BrazSonic by Bruno Campestrini. 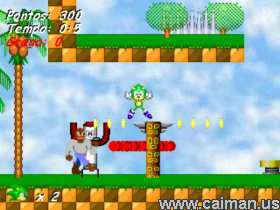 BrazSonic is a 1 or 2 player Sonic like game from Brazil and is in Portugeese, but easily playable by everyone. It is a satire of brazilian costumes, people and regions. Instead of Badniks, there are bandits. Instead of rings, there is money and instead of emeralds there are rare banknotes (the 100 reais one). Cheats can be found on the authors website! 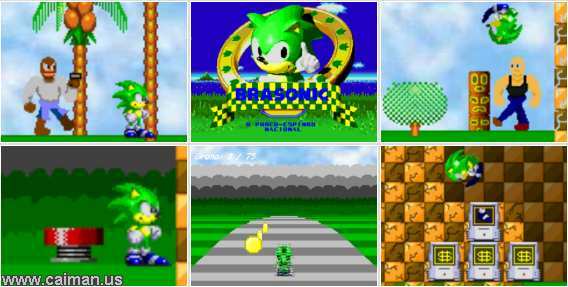 BrazSonic : Cutscene English Translations 7 kB.